On October 25, 2012, the Sci Fi Lab Radio Show on Georgia Tech’s WREK.org 91.1 FM in Atlanta aired my hour-long interview with James T. Warbington, co-director of the upcoming feature film The Black Earth, as its pre-Halloween, zombie-themed episode of the fall semester. Unfortunately, the interview was cut short on the radio due to a technical issue. Never fear, the Internet is here! You can listen to the full, uncut episode in mp3 format here or on YouTube here. 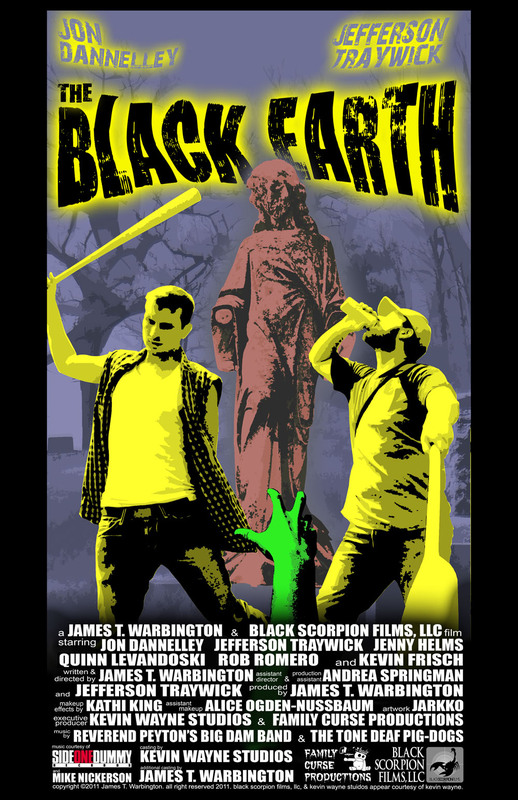 The Black Earth makes its world premiere on November 3, 2012, 9:30pm at the Plaza Theater on Ponce de Leon Ave (what better place for a Grindhouse-style zomcom? ).